After school activities for kids are hard to find, especially when you have to keep them occupied for a longer stretch of time such as holidays. Luckily Sydney has a lot to offer when it comes to keeping bored kids busy with craft workshops, leisure centres and children’s museums’ tours. But what if you have done them all and your kids have outgrown the indoor playgrounds? We have put together a few great teen activity ideas to not only let off some steam but learn something for the future. As a social activity for the whole family, we recommend GeoCaching. If your child likes to be out and about and you are looking for a fun hobby that does not come with a hefty price tag, GeoCaching might be the right thing for you. The activity revolves around seeking a hidden treasure in open terrain by the means of coordinates of either a GPS enabled device such as Smartphone or the official GeoCaching website and app. The secret stash can be hidden anywhere and sometimes surprises with small kids toys in a lunchbox or a wise line but the most important thing of this game is, once found you have to either leave the treasure as it is or replace it with something else for the next person to find. Be warned, the adrenalin rush at the sighting of the treasure can be highly addictive! Being able to perform basic car maintenance is a knowledge teenagers can use for a lifetime and will help them save time and money in the future. There are three basic tasks you can teach your child this holiday starting from checking fluids to make sure the car remains in proper working order. Another simple task is learning how to change a flat tyre with all its safety precautions. Changing oil is another easy job and essential for long engine life and proper operation of the car. Having learnt all this will make your teen ready for its very own car once the time has come and the driving license has been passed. Boxing is not only a great activity to keep in shape, the contact sport also teaches self-development and discipline in a safe environment. Getting teenagers involved in physical activity will beat obesity and might change your child’s lifestyle in terms of social life and diet. Boxing clubs offer training sessions for kids which include exercises such as running, rope jumping, and footwork and will improve on balance and coordination. Boxing is a great sport to find inner strength, overcome obstacles and boost confidence. Social media platforms have become popular for teenagers to express themselves and share parts of their life. Allowing children to post videos on the internet can be scary but setting up a YouTube channel together with all the appropriate privacy and safety settings that you can then monitor will surely make you feel safe. Let your child have a private account to limit viewings to family and friends only with all comments turned off to prevent them from getting rude remarks. Also, turn geotagging off so no one knows your child’s location and block mature content. After having spent this much time indoors, invite all your kids friends over for a basketball throw contest, let them film it and upload their first YouTube video. If your teen is aiming to become an entrepreneur keep them busy over the holidays by designing and making their own website. They will not only learn how to make basic but important decisions, creating a website includes choosing a domain name and hosting provider, install and set up the content management system WordPress, website design and writing and preparing content. Have your kid decide if he or she wants to start a blog, a future business portfolio or e-commerce site for online purchases. Choosing the platform where to launch the website will be one of the hardest tasks as well as the design of the website. This activity is sure to keep your child busy over the holidays. 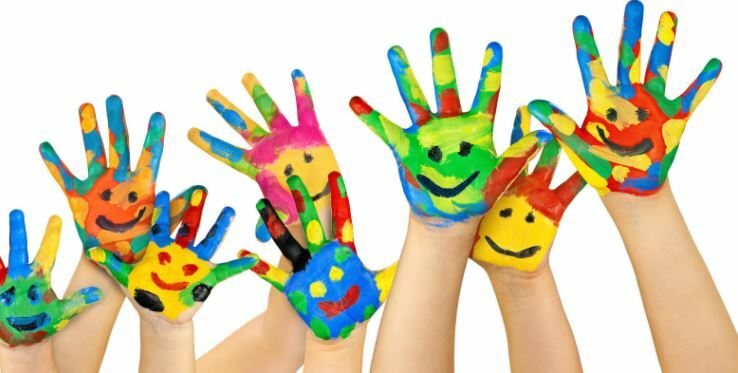 For the child that likes to express itself through art, drama classes might be a great activity. These classes will help children not only to learn acting skills in a fun way, they also help to unleash his or her creativity and imagination through drama programs. By taking regular drama classes you kid will develop great listening, concentration and conversation skills but also has the opportunity to develop social skills. Especially for quiet children which might lack some confidence during those troublesome teenage years acting is a great activity as your child will gain more self-esteem through recognition on stage. ← Previous Previous post: How far into the ground should you place your water tank?